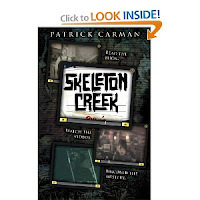 Skeleton Creek is a good mystery book by Patrick Carman. This book is all about a kid named Ryan and a kid named Sarah who lives in a small nice mountain town. They are investigating a scary machine called The Dredge in a place in the town Nicknamed Skeleton Creek. Skeleton Creek is called that because its water is “as white as bones”. The Dredge is an old machine that was used to cut down forests to make space to build more buildings. Something drastic happened, and the Dredge got shut down. When Ryan gets injured, him and his best friend Sarah investigate the Dredge in a series of Emails. What they discover is so shocking, you’ll never guess, unless you read the book. This book was very good and really had me jumping out of my skin. 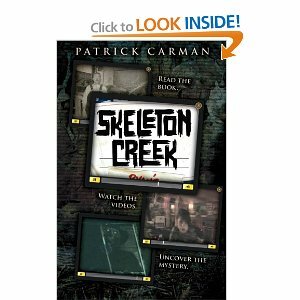 It is one of the better mystery books I have read and I think anyone who likes the Lemony Snicket series will also love Skeleton Creek. I am looking forward to the next books in the series. This book also reminded me of my favorite show: Ghost Adventures because this had a lot to do with ghosts.